Choose the best savings program for your home & relax! Why do ClearVue customers say their windows sparkle more than ever before? 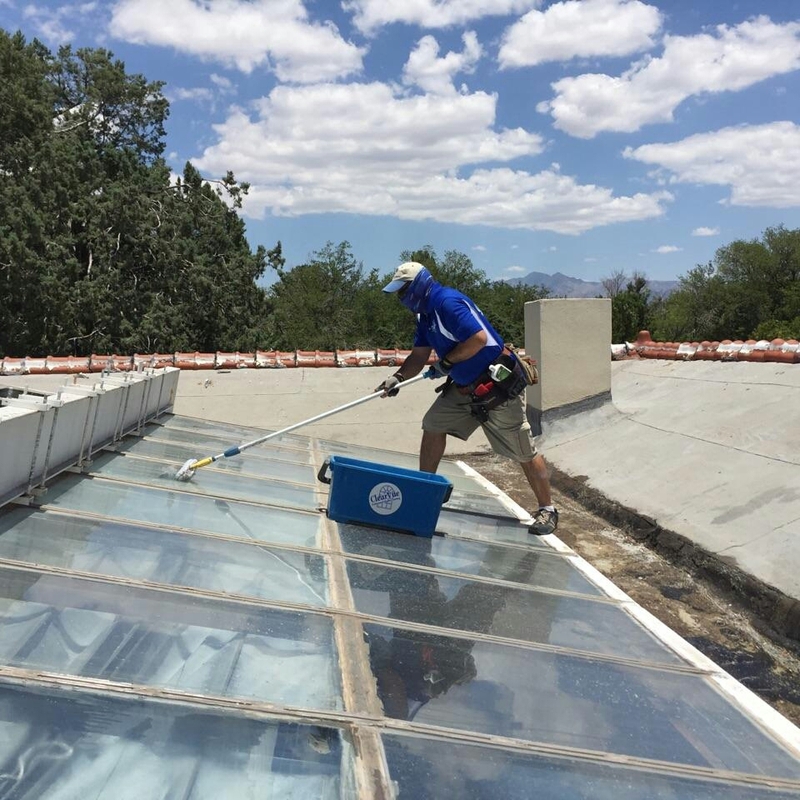 ClearVue provides a superior window cleaning process using professional grade window washing solutions and equipment, leaving them exceptionally clean and protected from the elements. Our environmentally safe window washing formula leaves a protectant on the windows that will repel dust, dirt, pollen, etc. This unique formula ensures that your windows will stay cleaner longer than any standard window cleaning solution. It has been tested & proven! 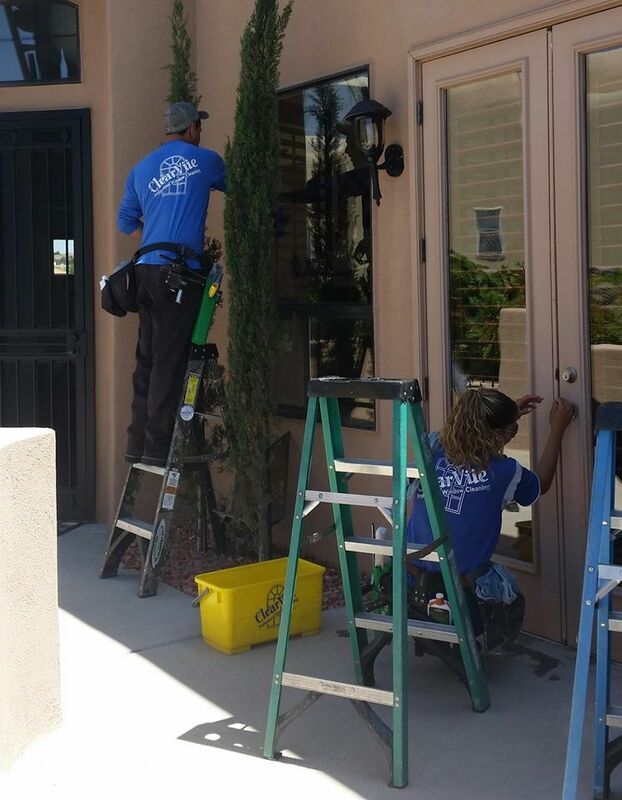 While we wash your windows we will also wash and treat your screens with a professional formula that leaves them looking clean and new! Feel good about who is in your home. The pros at ClearVue are the safe choice. 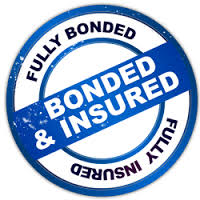 Your Interior Cleaning Professional can also assist with other tasks. Just ask! 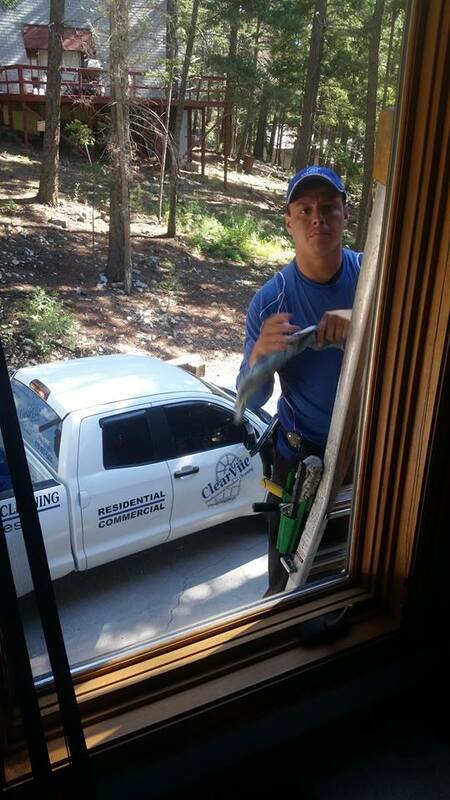 ClearVue also offers Window Tint Removal! Why are clean Windows important? Clean windows help to allow more sunlight into your home, which can help with energy costs in the winter. Failure to clean your windows can lead to water spots which can permanently damage your glass. Glass is porous and leaving dirt and other elements sitting on your window will damage them. Having your windows cleaned regularly will protect your glass from permanent water spots. 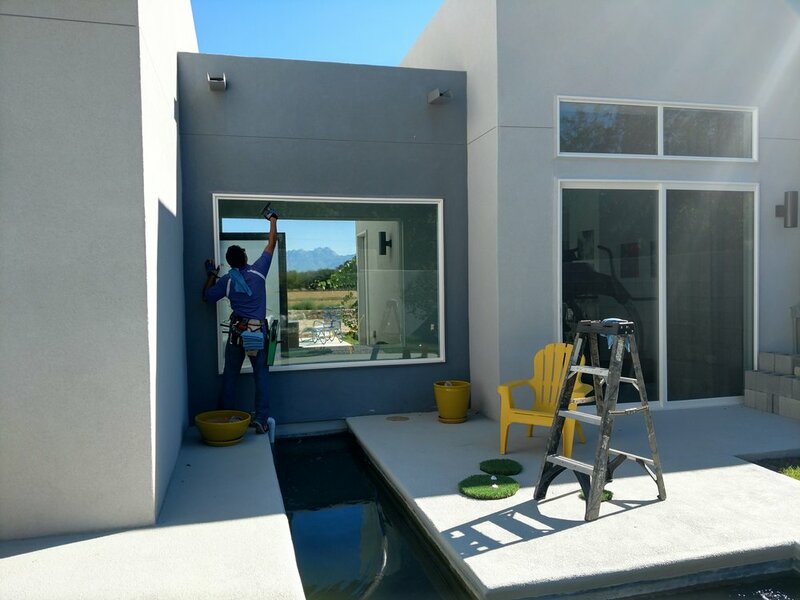 However, if you have hard water deposits ClearVue Professional Window Cleaning uses a biodegradable product that will remove the stain without damaging the environment.